Windows 7 is one of the most popular operating systems because it is stable and user-friendly. Even with the release of Windows 10, Microsoft continues to provide support for Windows 7 users, who make up 41.7% of the total Windows population. 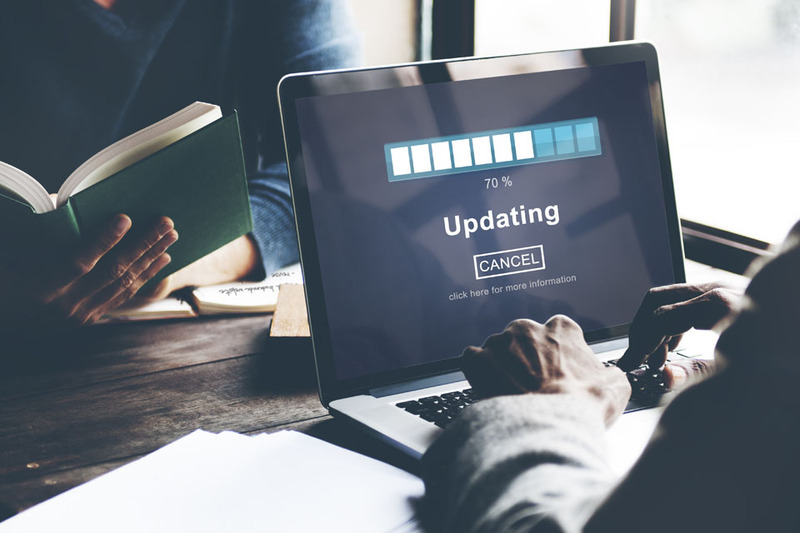 The latest update was released last March when Microsoft launched SHA-2 code-signing support for Windows 7 SP1, Windows Server 2008 R2 SP1 and Windows Server 2008 SP2. Some users, however, have been getting the error code 0x80070002 in Windows 7 whenever they try to install updates. According to reports, Windows 7 won’t boot after the Windows Update error 0x80070002 appeared. The error can happen anytime during the update process, but most of the time it appears when restarting the computer after the update has been installed. What Is Windows 7 Error Code 0x80070002? The error code 0x80070002 is an error that happens whenever a software or security update is being installed on Windows 7. When this issue occurs, the installation of the update is not completed because the computer cannot reboot. An error occured while checking for new updates for your computer. An error has occurred in the program during installation. If this problem continues, please contact your administrator. What Causes Windows 7 Error Code 0x80070002? The main reason why the error code 0x80070002 appears is because of corrupted or incomplete installation files. When there is a missing or corrupted component in the downloaded updates, an error such as 0x80070002 will probably appear during the installation, causing the process to fail. Windows Update is a complicated component of the Windows operating system – that’s why finding the root cause of the error code 0x80070002 is a real challenge. If you’re not sure what to do to resolve the error code 0x80070002, just follow our troubleshooting guide below. Before you try any of the troubleshooting methods below, it is important to optimize your computer first to get rid of unwanted elements. Delete unused apps and remove junk files using Outbyte PC Repair. You should also scan your computer for any viruses or malware that might have infected your system. Lastly, don’t forget to reboot your computer before proceeding with the steps below. Step 1: Fix Time and Date Settings. Open Control Panel, then click on Date and Time. Click on Change date and time, then make any necessary corrections. Set your time zone, then hit OK.
Click on the Internet Time tab, then choose Change Settings. Tick off Synchronize with an Internet time server, then choose your preferred Time Server from the list. Click Update Now, then OK to complete the setup. Restart your computer after completing these steps to see if you’re now able to complete the update installation. Step 2: Scan and Replace Corrupted System Files. Windows system files are critical for the smooth running of your computer’s operating system. When they get damaged or corrupted for any reason, problems such as the error code 0x80070002 appear. These problematic system files need to be replaced with their cached copies from the Windows recovery image. Type in this command followed by Enter: sfc /scannnow. Wait for the diagnosis and repair processes to be completed. Another tool you can use is the System Update Readiness Tool, which you can download from Microsoft’s website. Just download the tool, install it, then run the app to scan for and fix problems on your system. Step 3: Delete Software Distribution Folder. If Windows Update installation files are corrupted or incomplete, you need to delete them first from your system before downloading again. The Windows Update files are downloaded to the Software Distribution folder on your hard drive. Launch File Explorer by clicking the folder icon in your Taskbar. Click My Computer, then go to the C:\\Windows folder. Look for the folder named SoftwareDistribution, then delete it. Restart your computer and download the updates again. Try installing the updates to see if the error code 0x80070002 has been fixed. Step 4: Run Windows Update Troubleshooter. Windows Update is equipped with a troubleshooter to fix problems with update installations. Download the tool from Microsoft and install it on your computer. Run the app, then click on Windows Update. It will automatically scan your computer and attempt to resolve any errors diagnosed. After running the troubleshooter, restart your computer and check if Windows Update is now working properly. Step 5: Reset the Windows Update Service. These commands should completely stop the Windows Update service. Close the Command Prompt after executing these commands. Launch Windows Update again and see if resetting the Windows Update service worked. Step 6: Manually Download Updates One by One. Downloading multiple updates via Windows Update can be a headache, especially if you need to follow a particular order. For example, starting March 2019, Windows 7 systems need to install SHA-2 code-signing support first before downloading any updates, otherwise the installation will fail. To make sure you get the order of the updates right, you can manually download them from Microsoft and install them one by one on your computer. This ensures that all updates are installed according to the required succession. Installing software and security updates on Windows 7 is crucial to the smooth and efficient running of the operating system. If you ever come across the Windows 7 error code 0x80070002, just follow the steps outlined in this article to resolve the issue and get your computer back in top shape again.